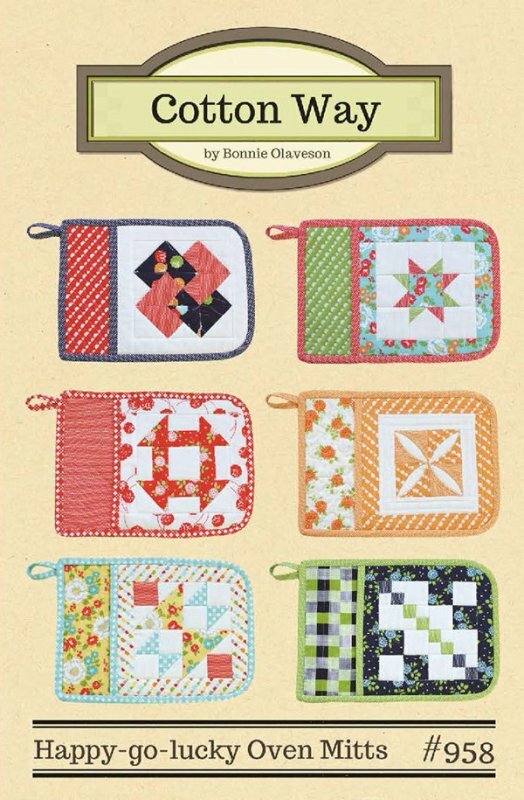 Pattern includes instructions for all 6 pocket oven mitts! Great gift idea. What a wonderful way to ue Fat Quarters. This is a fast and fun project- enjoy!